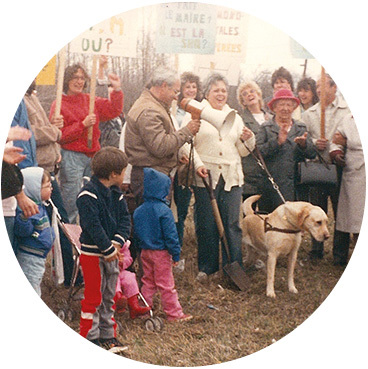 The foundation for Les Habitations Aux Baux Soleils was poured in 1993 after more than 15 years of campaigning by activists in the Châteauguay Social Housing Committee. The group had already won the battle to build low-income housing for the elderly, a more acceptable goal for politicians of the era. But for the ambitious activists on the housing committee, space in public housing offered little to families looking to manage their own environment. 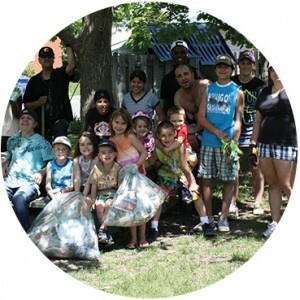 creation of an environment encouraging social development, popular education and self-management. 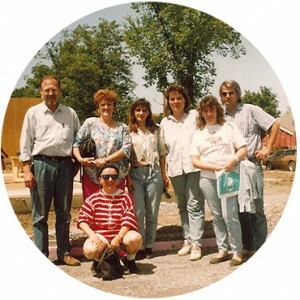 The project was strongly supported by community organizers and leadership of the CLSC, whose mandate included fighting poverty, for which the housing issue was paramount. It was agreed from the outset that tenants would have a large role to play in the maintenance and management of Habitations Aux Baux Soleils, but that their participation would be on a voluntary basis. All tenants are automatically members of the non-profit corporation and the majority of positions on the board directors are always held by member/tenants, who have been running the housing group for 23 years, with the help from management services of the Fédération régionale des OSBL d’habitation de la Montérégie et de l’Estrie (FROHME) and community support resources. That assistance is made possible thanks to the “community support in social housing program” and has been the subject of a three-party agreement between FROHME, the health and social services network and the NPO since 2008. Of course, Habitations Aux Baux Soleils has had its ups and downs, successes and failures, but by relying on its strengths, the non-profit has helped dozens of families to be proud of themselves, exercise control over their environment, help each other, better themselves, feel safe and to develop management and labour skills. Some have picked up a variety interests and many mothers have returned to the labour market or to school thanks to their involvement in the corporation. 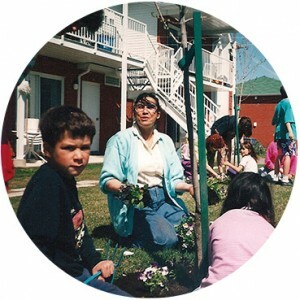 The evolution of the Habitations Aux Baux Soleils project inspired the development of seven non-profit housing groups based on the same self-management model, including Habitation Solidarité in Châteauguay, Habitation Philomène in Mercier, Habitations de la Vallée des Tisserandes in Ste. Martine and Habitation Logiciel in St. Constant. 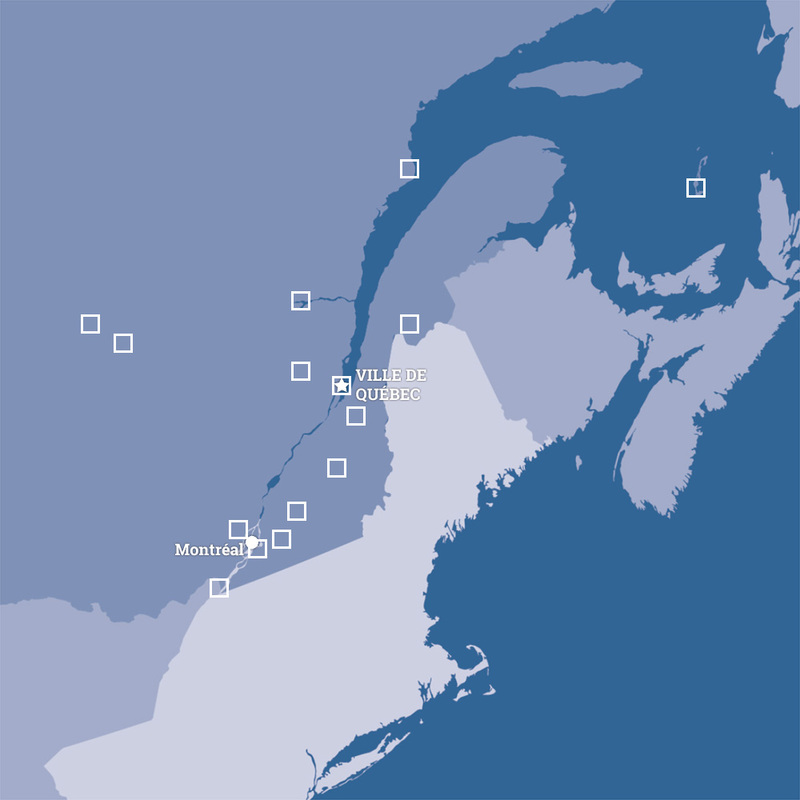 These corporations, among others, founded the FROHME regional federation of housing non-profits in 2000 and have passed on their values to other organizations that have developed in the Roussillon regional county in subsequent years. Several new families from different cultural communities, encouraged by the values of the organization, picked up the torch passed on by the older generation with their cooperation, support and open arms. Les Habitations Aux Baux Soleils is a proud achievement for the community. The voluntary participation of tenants in organizations like Aux Baux Soleils during general meetings and in democratic debates between tenants on the management of their homes is much admired. Everyone pitches in, from clearing snow from sidewalks to mowing the lawn, collecting rents and watching over finances. The members of the Corporation are convened to two annual meetings, including one in the spring for the presentation of activity reports and financial statements and to elect members of the board. The September meetings remain the most popular, with the participation of 46 households to share the 46 tasks annually assigned to each unit to help with management, cohabitation and maintenance of their buildings.